The Barnacle Society, Inc. is a volunteer non-profit, citizen-supported organization created to generate public awareness, education, and financial support for the preservation and maintenance of The Barnacle Historic State Park. 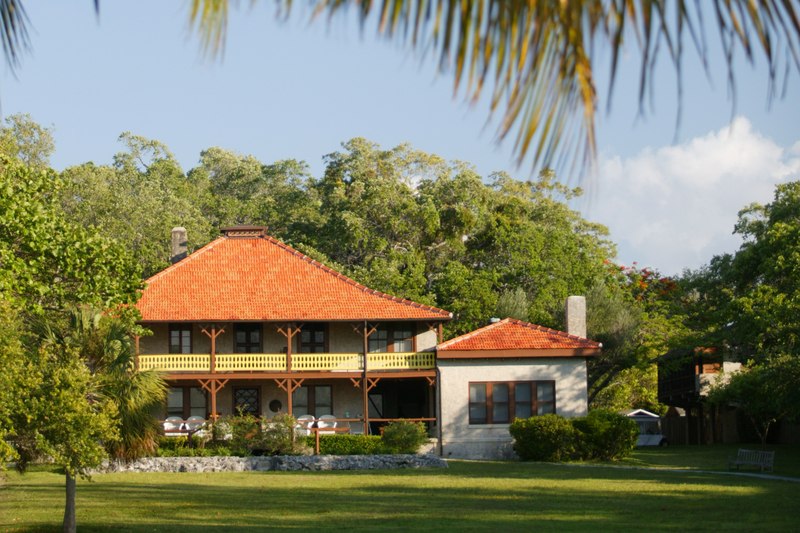 The Barnacle House, constructed in 1891 is the oldest house in Miami-Dade County still in its original location in Coconut Grove. The Barnacle Historic State Park includes the boathouse and a portion of Biscayne Bay shoreline. The sharpie sailboat Egret, a reproduction of one of the sailboats designed by Ralph Munroe is moored near the boathouse. The centerpiece of The Barnacle Society’s educational efforts is the wooden boatbuilding program at The Barnacle. This program, currently in its fourth year was initiated as a partnership between The Barnacle Society and South Miami High School’s Vocational Department. March 2015 marked the completion of the first boat built through the program which was a 12-foot long “Bevins skiff”. The skiff was sold at The Commodore’s Birthday Party silent auction, thereby providing in-part, funds for the next boat building project. Currently under construction in the boathouse at The Barnacle is the Cape Sable Sparrow. This sharpie is being constructed with traditional plank construction and is expected to be completed by December 2017. This boat will be sold, again providing continuing funding for the next build project, which is anticipated to begin in the spring of 2018. On-going funding for the boat building program is provided by The Barnacle Society. Additional donations have been received from California Pizza Kitchen, Home Depot and individual donors. The boat building program at The Barnacle was featured in the short film Hand-Built Boat directed by Ani Mercedes. The film was featured in the 2016 Miami Short Film Festival and subsequently selected for and shown at the Miami International Film Festival. The Barnacle Historic State Park is a cultural and historic treasure that is yet undiscovered and unknown by many who live in or visit South Florida. One of The Barnacle Society’s main efforts is to raise awareness of this significant community resource. In addition to the events and celebrations produced by the Society, we support/have supported the following outreach activities: Reprinting of The Forgotten Frontier: Florida through the Lens of Ralph Middleton Munroe, a collection of photographs taken by Commodore Munroe, by Arva Moore Parks Reprinting of The Commodore’s Story, by Commodore Ralph Munroe and Vincent Gilpin, the story of the early settlement and growth of Miami through the Commodore’s eyes and experiences Promotion of events at The Barnacle through Facebook, Twitter, and Instagram, as well as traditional print media and press releases. Maintaining involvement with the local community through partnerships with Grove Merchants, The Coconut Grove BID, Coconut Grove Chamber of Commerce, Coconut Grove Village Council, as well as other civic organizations including: Dade Heritage Trust, The Coconut Grove Rotary Club, The Villagers, Shakespeare Miami, What If Works at FIU, Haunted Ballet, Chabad of Coconut Grove, West Grove Churches, Slow Food Miami, and The Coconut Grove Garden Club. Creation of the Ralph Middleton Munroe Chapter of the Traditional Small Craft Association, a national organization devoted to traditional wooden boat building. Learn more about The Barnacle Society, Inc.